Large yellow flowers, green stems and leaves. Fast growing branchy shrubs can grow 5 to 6ft tall. 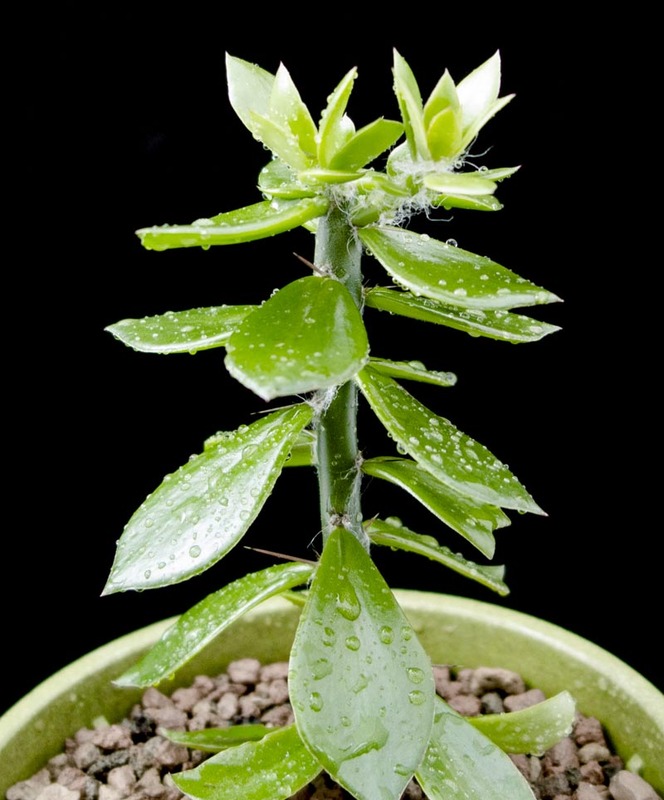 Rooted stems are often used as the rootstock for grafting slower growing cactus.